Born during the Renaissance, Shao Jun started her life as a concubine and personal spy of the Chinese Emperor Zhengde. Born during the Renaissance, Shao Jun started her life as a concubine and personal spy of the Chinese Emperor Zhengde. When the Emperor died and a Templar faction called the Eight Tigers started to take over the country, Jun was rescued by the Assassins, and she decided to devote her life to their cause as a result. When Jun was 19, the Eight Tigers ordered a purge of all their opponents, and she had to flee the country. She traveled to Italy to receive training and help from the famous Assassin Mentor, Ezio Auditore. An avid learner who loved to experience new cultures and societies, Jun also travelled around Europe to further her training. 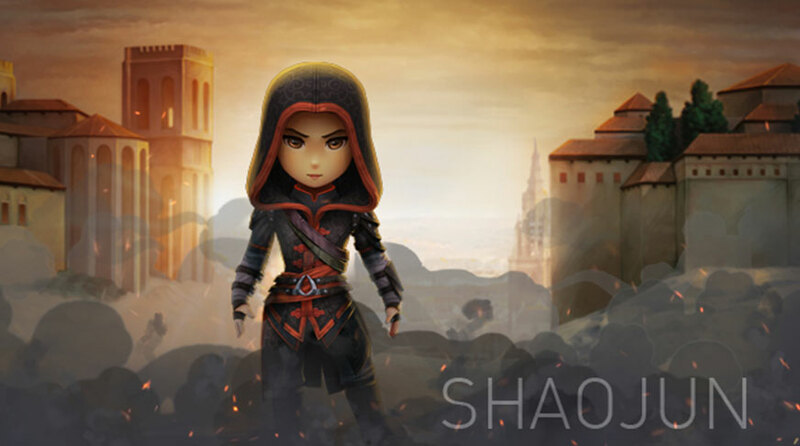 Later in her life, Shao Jun eventually returned to China to fight the Eight Tigers and restore the local Brotherhood, of which she became the new Mentor.